As most of you know- our family loves dinosaurs, especially T. rex! Our interest in dinosaurs has brought a lot of excitement to our lives and has given us the opportunity to meet some very neat and interesting people. Bucky, the T. rex is now on permanent display at Dinosphere at the Children's Museum of Indianapolis. It is a fascinating place with a wide array of exhibits, and we love spending time there. We highly recommend the Children's Museum to all of our family and friends, whether you're a kid or not! For those of you not familiar with dinosaur fossils, it's about as easy as walking out in the pasture and picking up what you find laying there on the ground. But it also depends on where you are and what formation you live in. We are thankful to live in the Hell Creek Formation, an area where fossils can be found just about anywhere. 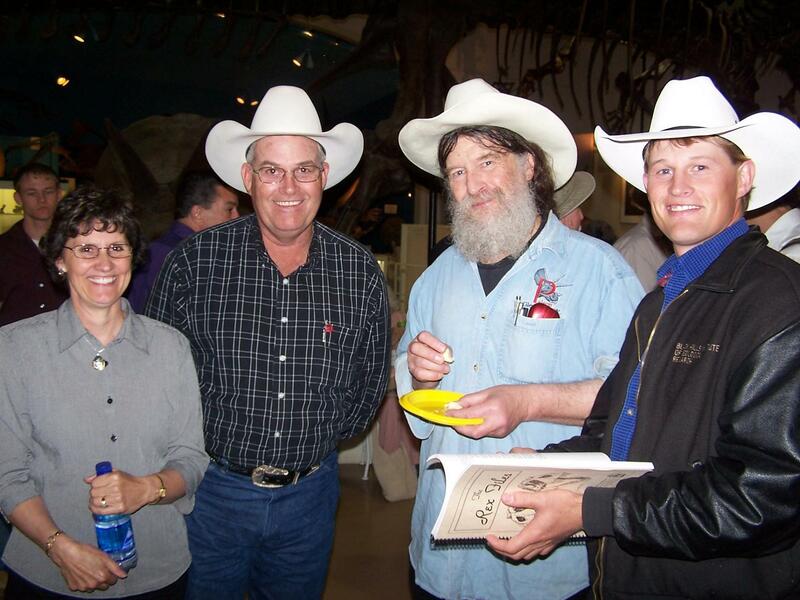 Bucky has uncovered numerous fossils, including 2 T. rex skeletons, several Duckbill dinosaurs, and Triceratops. 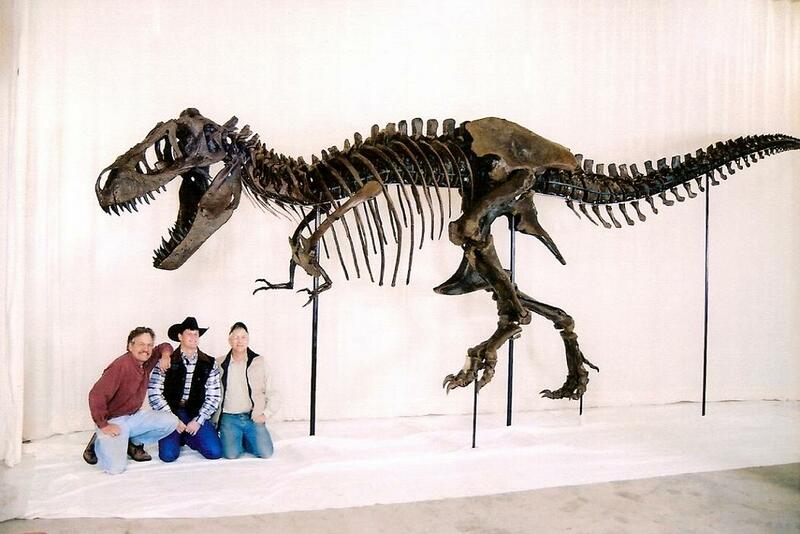 He discovered "Bucky" the T. rex north of Faith, South Dakota on his dad's ranch in 1998, and then discovered another T. rex that same year. Dinosaurs have really become a big & exciting part of our lives! It's been a lot of fun for our whole family. If you have any questions, our e-mail address is bdrex@gwtc.net or you can call Bucky (605-748-2480). We would love any questions or comments! Although adult tyrannosaurs were one of the largest and most powerful of all predatory dinosaurs (about as heavy as an elephant, tall enough to look through a second story window and long enough to stretch out the width of a tennis court), some other dinosaurs, such as a large duckbill or Triceratops, may have been too big and powerful for a T. rex to kill by itself. Some scientists think tyrannosaurs worked together in families or groups to kill prey. Bucky had a strong sense of smell, powerful legs that may have allowed it to move quickly, and forward-looking eyes which allowed it to quickly spot and focus on prey — characteristics that made it a ferocious hunter. 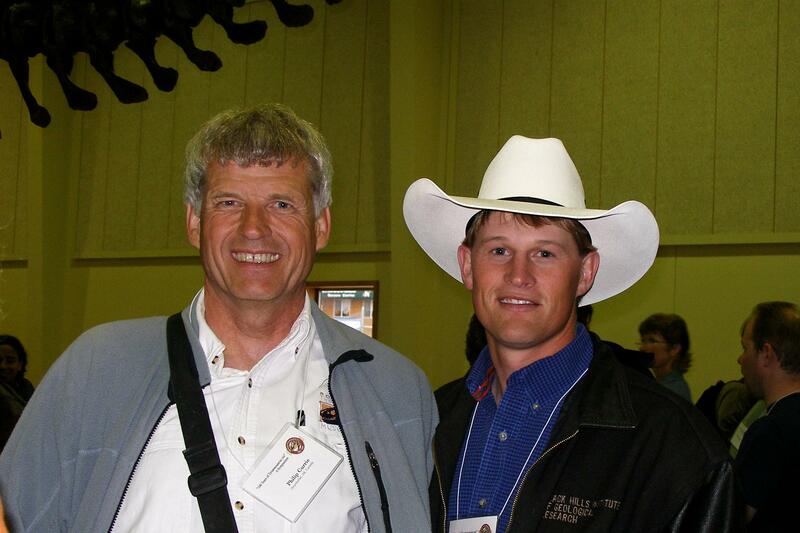 Bucky Derflinger.A young rancher and rodeo cowboy named Bucky Derflinger discovered Bucky in 1998. That's how Bucky the T. rex got its name. 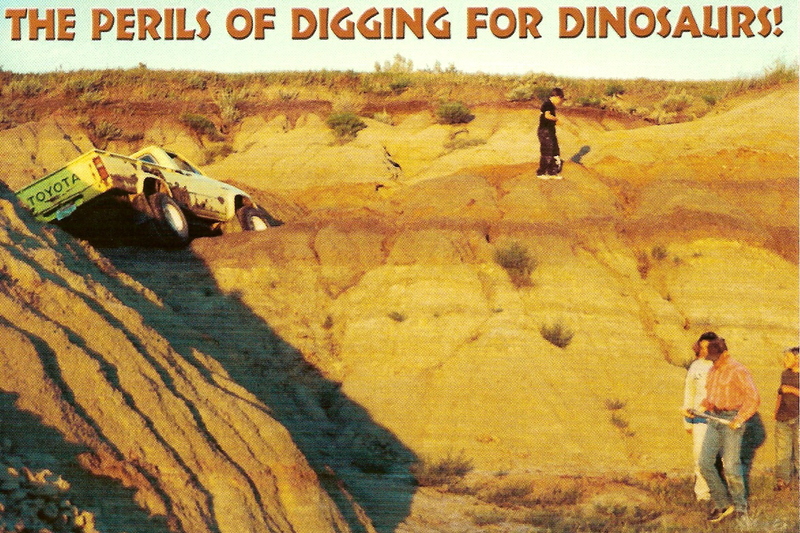 Bucky Derflinger has been collecting dinosaur fossils since he was 9 years old. He was 20 when he saw Bucky's fossilized toe bone sticking out of the ground. The part of the fossilized bone he saw was white because it was weathered and had been bleached by the sun. 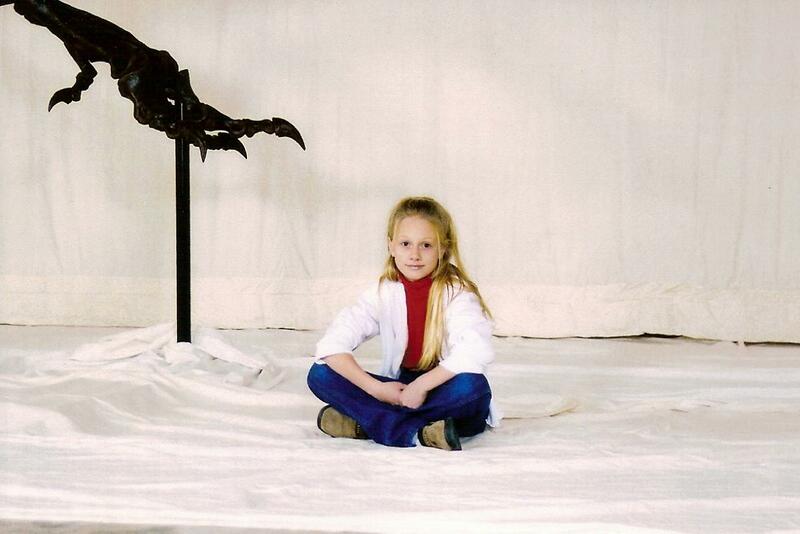 Bucky Derflinger is the youngest person ever to have discovered a T. rex. You don't have to be a professional paleontologist to be a dinosaur hunter!